By EA Hannah, Jordan Valley. Sitting with Usura in her home, drinking sweet tea and looking out across stunning scenery with the accompanying sound of goats bleating, it’s easy to think that this is an idyllic life. But it is far from that. 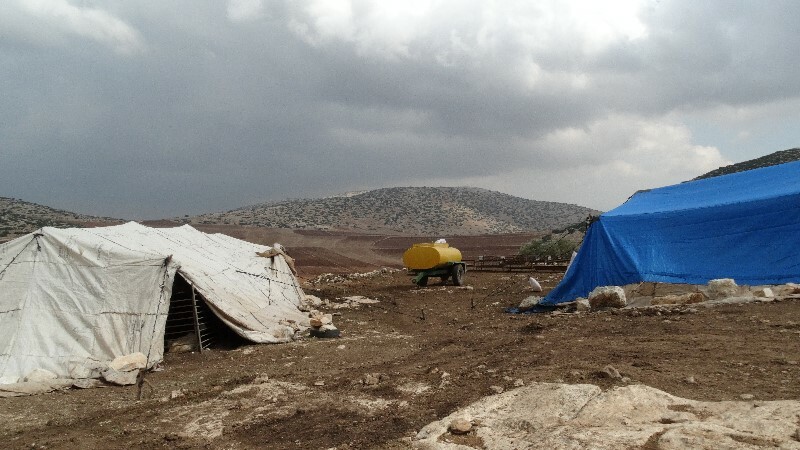 Last winter, Usura had her home – consisting of several tents for her family and their goats, sheep and chickens – demolished by the Israeli Civil Administration. 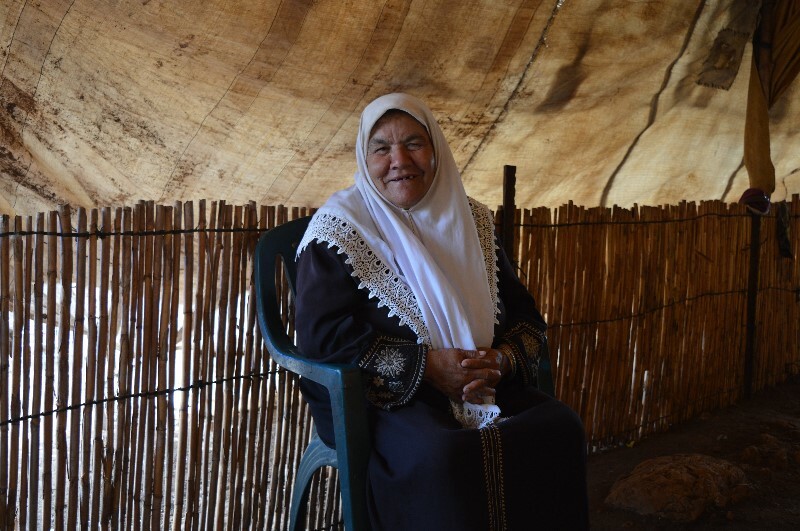 This is nothing new in her village of Ibziq, a community of 40 families in winter in the northern Jordan Valley. This community, along with 62% of the West Bank and 87% of the Jordan Valley, became Area C after the Oslo Accords in 1993. This means that Israel has full control over law enforcement, planning and construction. Palestinians who have lived here for generations have no rights to build unless they receive building permits which are extremely difficult to attain. According to the United Nations Office for the Coordination of Humanitarian Affairs (UNOCHA), 97% of submitted applications for building between 2010 and 2013 were refused. Even so, many Palestinians continue to build without permits, knowing that doing so means your property will be at risk of demolition by the Israeli authorities. Many feel they have no choice though, as new generations and a growing population require more space. Usura’s family were unsuccessful in the court appeal for the demolition order they received last winter. The Israeli military also confiscated their tractor – the family’s main mode of transport – with no prior warning. These actions were taken despite Israel’s legal obligation, as the occupying power, to protect the Palestinian civilian population. Furthermore, international law prohibits the destruction of an occupied population’s private or public property. The family live a modern semi-nomadic herder lifestyle. When my fellow EAs and I visited, Usura and her eight family members had rebuilt their tented abode in their winter home location in Ibziq only 15 days before. She told us, “we hope it is safe here [from demolition]”. Currently they do not have any demolition orders however they know that this security is not guaranteed. Even if they escape demolition, they are likely to face harassment from the military. For example, last year soldiers arrived at their home at 2am without warning and giving no reason, shouting for them to wake up so the soldiers could check their home, after which they also physically attacked Usura’s 16-year-old son. In addition to the constant threat of demolition, herding families like Usura’s also have significant problems with access to water. According to the UN agency, UNOCHA, more than 70% of communities in Area C are not connected to the water network. Usura told us that in winter they must collect water every four days (in summer even more often) from Tubas which is a 20-minute bumpy ride away. The cost each time for three cubic metres of water is 100 NIS (approximately £17). This is vastly higher than the cost of water for communities connected to the water network. It comes as no surprise that all 135 Israeli settlements located in Area C and which are illegal under international law are connected to the water network. This discrimination was systematised under the 1995 Oslo II Water Sharing Agreements in which only 17% of the water pumped from the aquifer shared by Israel and occupied Palestine was allocated to the Palestinians. As a result, Palestinians living in the West Bank consume on average each day a fifth of the ‘absolute minimum’ recommended by the World Health Organisation, whilst in Israel consumption is four to five times higher. Under customary international law, these same water resources should be shared equitably and reasonably. 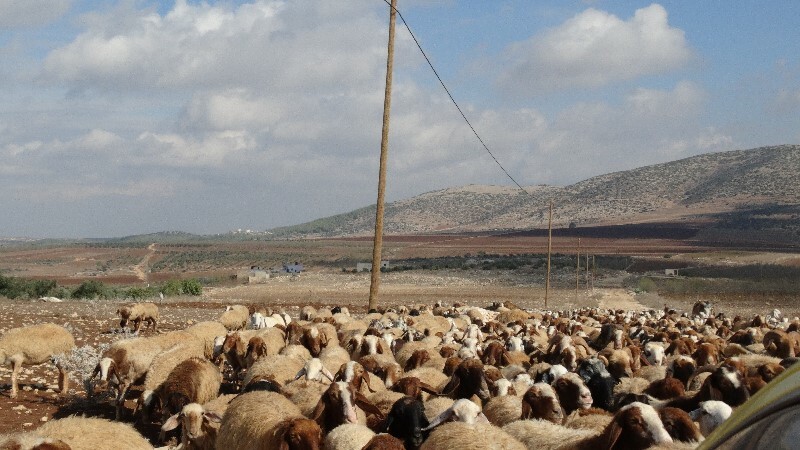 While it is easy to treat issues such as access to water, land and livelihoods separately as academics often do, it is important to recognise the cumulative impact these have on the lives of people in the West Bank. As Usura told me, “we want to live and work; this is our only option”. Her message to the Israeli army was, “leave us alone, do not destroy us or evacuate us. Let us live our lives”. This entry was posted in Current EAs, Demolitions and forced displacement, Jordan Valley, Water equality. Bookmark the permalink.